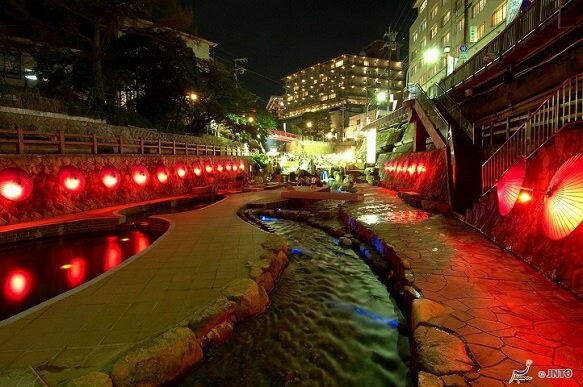 Located in Rokko, southern Hyogo and on the northern coast of the Osaka Bay, Arima is one of the oldest onsen resorts in Japan. 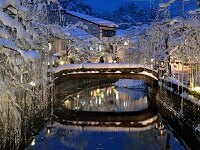 With a history of over one thousand years, Arima Onsen has often stood at or near the top of onsen rankings. The town has two types of hot spring waters which spring up at various sources around town: the Kinsen ("gold water") is colored brown with iron deposits and is said to be good for skin ailments and muscle pain, while the clear Ginsen ("silver water") contains radium and carbonate and is said to cure various muscle and joint ailments. The spa contains a variety of hot springs including salt-rich spring with a salt content as high as twice that of seawater, carbonated spring with the flavor of soda-pop and radium spring. Although Arima Onsen has a modern look today and is pretty built up, one can still find several narrow lanes and wooden buildings when strolling around the center of town. Due to its compact size, the small town can be explored entirely on foot. Despite the size of the town, there are several hot spring sources, nice temples and shrines and a small hot spring museum to be discovered. 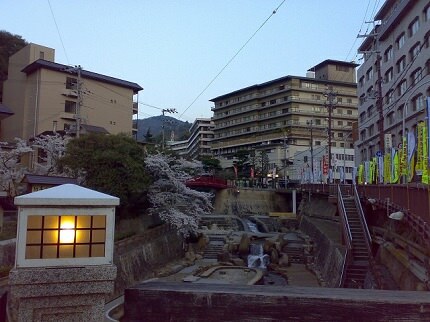 Visitors to Arima Onsen can enjoy hot spring bathing at two public bath houses or at the town's many ryokan. Several ryokan open their baths also to non-staying visitors during the day. 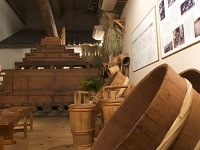 The admission fee for a daytrip visit to a bath typically ranges between 500 and 2500 yen. 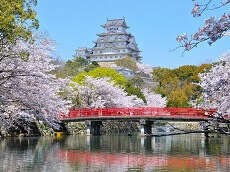 You can enjoy a stay at this historical hot spring area before or after our cherry blossom Japan tours.